Two brothers who carried out a violent robbery spree, which resulted in an unarmed police officer having a firearm pointed at him, have been jailed for a total of 21 years, today, Friday, 15 March. Craig Clarke, 21 (30.05.98) of Mascotts Close, NW2 had previously pleaded guilty to attempted robbery, two counts of robbery, possession of a bladed article, possession of a prohibited firearm and GBH. 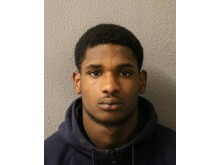 Today he was sentenced to nine years' imprisonment at Southwark Crown Court. His brother, Jordon Kagbo-Clarke, 25 (07.12.92), of no fixed abode had previously pleaded guilty to attempted robbery, two counts of robbery, possession of a bladed article, possession of a prohibited weapon and possession of a firearm with intent to resist arrest. Today he was sentenced to 12 years' imprisonment at the same court. On 31 August 2018 Clarke and Kagbo-Clarke were in the Lisson Grove area of north-west London looking for victims to rob. 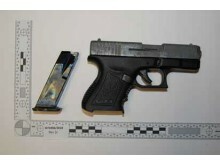 Clarke was armed with a knife and Kagbo-Clarke had a converted firearm. At about 00:25hrs, the brothers approached a 29-year-old man in Hamilton Terrace, NW8, grabbing hold of the victim and showing him the firearm. This victim, in the belief that he was about to be robbed, managed to wrestle himself free and escaped. The victim was later able to identify Clarke in an ID parade. At 01:20hrs, the brothers approached a 26-year-old man in Paverley Street, NW8. They blocked the man's path and brandished the firearm and knife to re-enforce the threat to hand over his property. The victim handed over his wallet containing cash, a mobile phone, bankcards and other identity documents. The two suspects then walked off, thanking the victim as they left. At 01:40hrs, a 19-year-old man was standing outside a supermarket with friends on the Edgware Road when the two brothers struck again. The brothers stood nearby and appeared to be taking interest in the group but were seen to walk off by the victim, who was on his mobile phone. They returned a short time later and Kagbo-Clarke put the gun to the victim's head, and demanded that the victim hand over his property. The gunman also pointed the weapon at the victim's friends to make him comply with their demands. 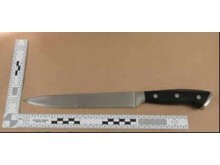 Clarke produced a knife and stabbed the victim in the thigh, resulting in him handing over his watch, at which point the suspects walked off. The final part of this robbery was witnessed by officers on patrol, who saw a knife and exited their vehicle to give chase. The brothers - aware of the police presence - ran from the scene and as the officers closed in, Kagbo-Clarke pointed the weapon towards one of them. This did not deter the officers, who were unarmed but continued the foot chase. They witnessed Clarke discard the knife on a nearby roof, from which it was later retrieved. 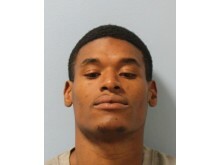 Clarke was apprehended a short time later by officers and arrested. Kagbo-Clarke continued to try to evade police but in doing so ran into the path of a police vehicle and was detained. He was found in possession of the firearm and stolen property and was arrested. The two defendants initially denied the offences but as the investigation progressed and the weight of the evidence was presented, guilty pleas were entered. "I am pleased that today these violent offenders are now behind bars and not able to prey on the public of London. These offences were committed by two brothers within a short timeframe who thought it was acceptable to arm themselves with a firearm and large knife, and go on a robbery spree with impunity. "I would first like to thank the victims for supporting the prosecutions - for many English was not their first language and this has been a traumatic experience for them. I hope today's verdicts give them some satisfaction that these defendants cannot now harm other innocent members of the public. "I would like to thank my team and in particular DC Sinclair, the officer in the case, for their diligence and hard work in collecting the overwhelming evidence that led to the defendants having no option but to plead guilty to these offences. "Lastly, I would like to pay tribute to the unarmed officers who confronted these violent individuals knowing that they were armed and gave chase. Even after being threatened with a firearm, the officers continued to pursue the suspects leading to their arrest. These officers acted in the highest traditions of the police service in putting themselves in danger to protect the public and I would personally add my thanks for their actions on that day."